Photo of the day: THREE FACES OF GRIEF – Three mothers, three dead sons. Today at the Justice For Eric Garner Rally on Staten Island, led by Rev. Al Sharpton, the mothers of three slain boys made a surprise and very powerful appearance. Ferguson, Missouri’s Michael Brown’s mother (right) barely able to speak through her tears, Kadiatou Diallo (center), the mother of 22-year-old Guinean immigrant Amadou Diallo, who died in a hail of 41 NYPD bullets in 1999, and the mother of Ramarley Graham (left) an unarmed 18-year-old shot and killed by NYC police in 2012. They spoke in support of Eric Garner and accountability the police must take for brutal unjustified shootings that have become common place in this country like the old Jim Crow south. Name after name from the last two decades, including Trayvon Martin and Eleanor Bumpers were read off, it sent a chill through me. These are gestapo Nazi racial murders like that of Berlin 1939. There are taser guns, tear gas and mace – none used, shooting point blank is out and out murder. (Whatever happened to ‘shoot to maim and stop’?) Yet no Teflon police (or George Zimmerman) are in jail. Choke-hold victim Eric Garner’s entire family was present: Esaw Garner, Eric Garner’s widow and Eric Garner’s mother Gwen Carr and their children. To see so many faces of grief on one stage has left me shaken and is something I will not forget. This entry was posted on August 23, 2014 by newyorkcityinthewitofaneye. 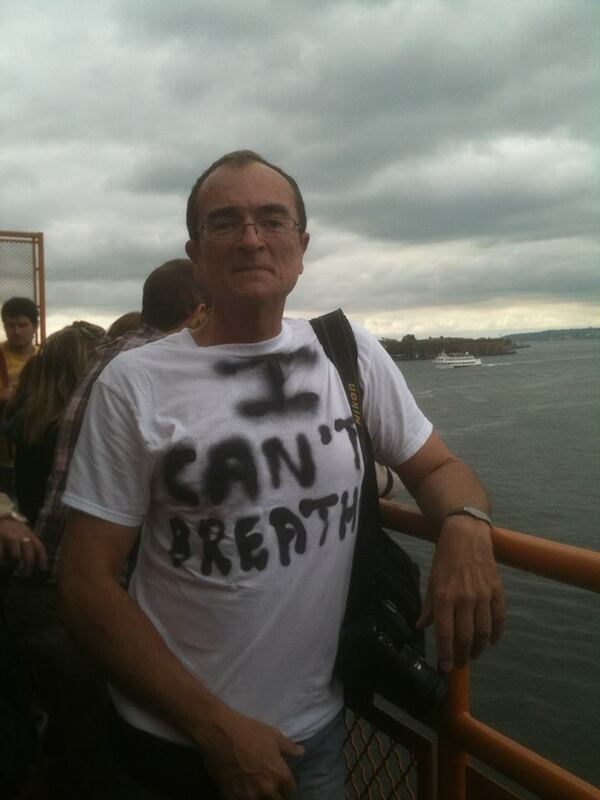 It was filed under DAILY PHOTOS WITH STORIES OF NEW YORK CITY and was tagged with "I can't breathe! 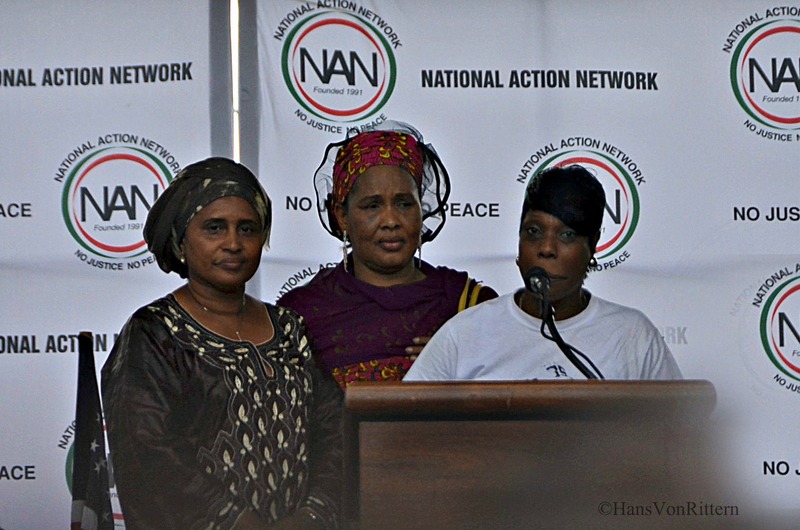 ", Amadou Diallo, chokehold victim, Eleanor Bumpers, Eric Garner, Esaw Garner, Ferguson, Ferguson Missouri, George Zimmerman, Gwenn Carr, Hans Von Rittern, Justice For Eric Garner Rally on Staten Island, Kadiatou Diallo, Michael Brown, Missouri's Michael Brown's mother, Nazi tactics, New York City, New York photo, Photo of the day, photography, police brutality, police shootings, Ramarley Graham, rev al sharpton, Staten Island, the old Jim Crow south, Trayvon Martin.